Dr. Ayanava Majumdar is an Extension Entomologist for the Alabama Cooperative Extension System at Auburn University. His work focuses on finding practical solutions for managing insect pests that affect peanut and vegetable crops. “Dr. A,” as he is commonly known, has developed a very strong relationship with growers across Alabama. In recent years, he has gotten a lot of requests from high tunnel growers who are growing vegetables using sustainable agricultural practices. He is an expert in the field of alternative pest management tactics with emphasis on trap crops, pest exclusion, and organic insecticides. “Protected agriculture has grown in the state for various reasons, especially due to the increasing consumer demand for local foods. Consumers are more aware and want to know who grew the food they consume,” Dr. A said. Growers are using high tunnels to extend the season during lean times and supply local food to consumers year-round. High tunnels help farmers take advantage of two specific periods. During winters, these structures allow farmers to plant crops earlier than normal and during hot and humid summers, when pests and diseases thrive, they are able to produce crops by regulating temperatures and the amount of rain entering the system. Protected structures, however, are not exempt from pest problems. “Pest management in high tunnels can be challenging because the diseases and insects take advantage of the growing conditions inside the tunnels,” Dr A said. For example, problems with spider mites and leaffooted bugs have exploded. “These pests really love the heat and the close proximity of plants inside a tunnel. They are very good at exploring their environment and causing rapid crop loss.” he said. Dr. A is pioneering the use of high tunnel pest exclusion systems (HTPE) as a permanent or long-term solution to pest problems. High tunnels are not usually completely closed systems, as the sidewalls and sometimes the ends are open or movable for ventilation purposes. 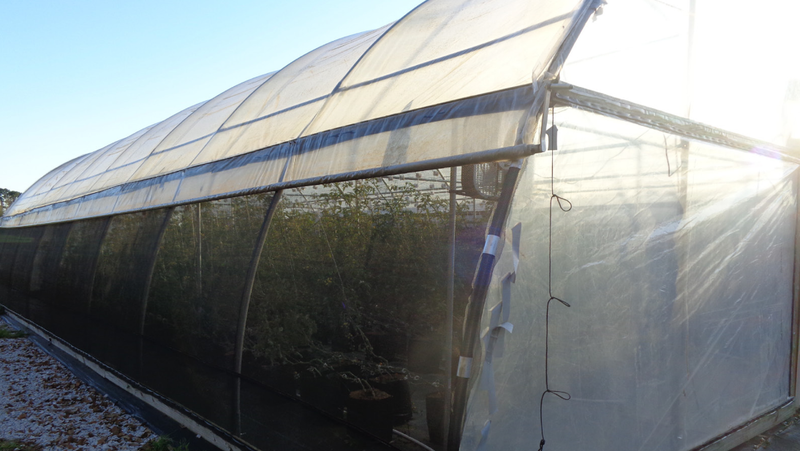 The HTPE technique basically consists of placing a 30-50% shadecloth on these sidewalls under the roll up plastic and at the ends to exclude large insects while allowing beneficial insects to pass through and provide adequate ventilation. This means that the shadecloth material covers about 25% to 33% of the whole structure. The shadecloth is relatively inexpensive and its cost compares well with some expensive organic insecticides. It’s very important to install the shadecloth correctly and seal tightly, otherwise it will not be effective. Dr. A. said that he has seen dramatic reductions in numbers of leaffooted bugs, armyworm moths and other important insect pests as a result of installing an exclusion system. This technique will not exclude all the insects, but the pest pressure overall decreases. “We are currently researching this system in six farms located across the state and this technique has dramatically improved the quality of their crops”, Dr. A said. “We are learning with farmers and have seen that farmers can easily recover the costs within the first season, especially with high value crops such as lettuce or tomatoes,” he said. Dr. A is a believer that his farmer partners are key to validate and spread the technology with other farmers. 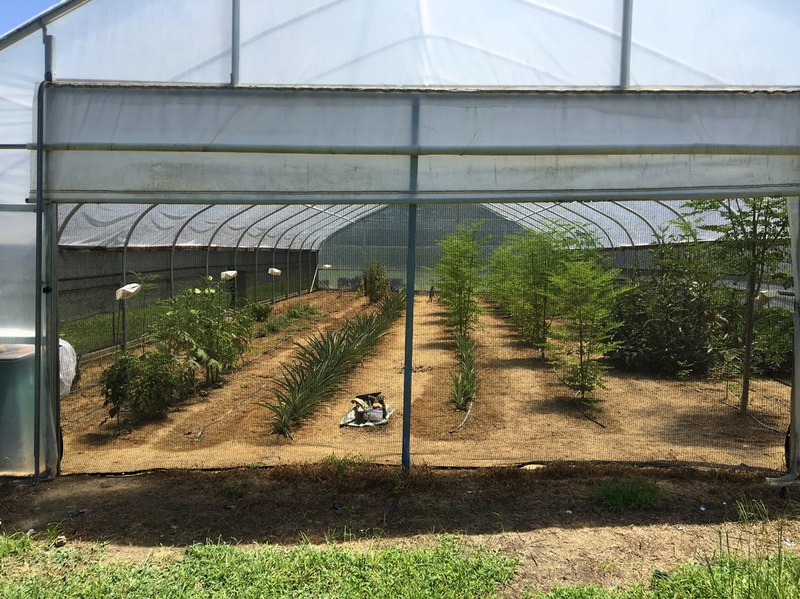 “After seeing this system work, farmers won’t go back to open high tunnels,” he said. On the other hand, “if farmers don’t like it, they can easily take off the shade cloth and use it elsewhere.” Dr. A’s research findings are available in the form of videos and publications on the Alabama Vegetable IPM website. Dr. A is looking at providing solutions for organic and alternative systems. “Customers are asking what the farmers are spraying. The growers have to be more responsible since they are talking to very aware customers.” As a result, he has seen small farmers spending a lot of money using insecticides approved for organic production. The exclusion technology will help, but it’s not a silver bullet. Dr. A is currently studying the release of beneficial insects in these systems. “Pest prevention is the goal in organic systems. Once the pest is there, there are very few tools you can use,” he said. Dr. A. will be a speaker at the Panhandle Fruit and Vegetable Conference on October 11 in Marianna, FL. He will teach two different Integrated Pest Management (IPM) workshops. The first one will be focused on open field conventional vegetable production. The second workshop will focus on organic alternative IPM systems using the Pest Exclusion system. During the event, he will be providing free copies of the High Tunnel Crop Production Manual for New and Beginning Farmers and the Alternative Vegetable IPM Slide Chart and insect scouting guides. Don’t miss the talks! To register and find out more information about the conference visit: https://pfvc.eventbrite.com. Early bird registration is $40 and ends September 5. Your registration includes breakfast, lunch, refreshments, educational materials and transportation to farm tour locations. The event is sponsored by UF/IFAS Extension and support in part by a Florida Department of Agriculture Specialty Crop Block Grant.